Yet again I have managed to fall of the face of the earth. With the Fall semester starting and starting a new position at work, I’ve had virtually zero time to sit down and write. 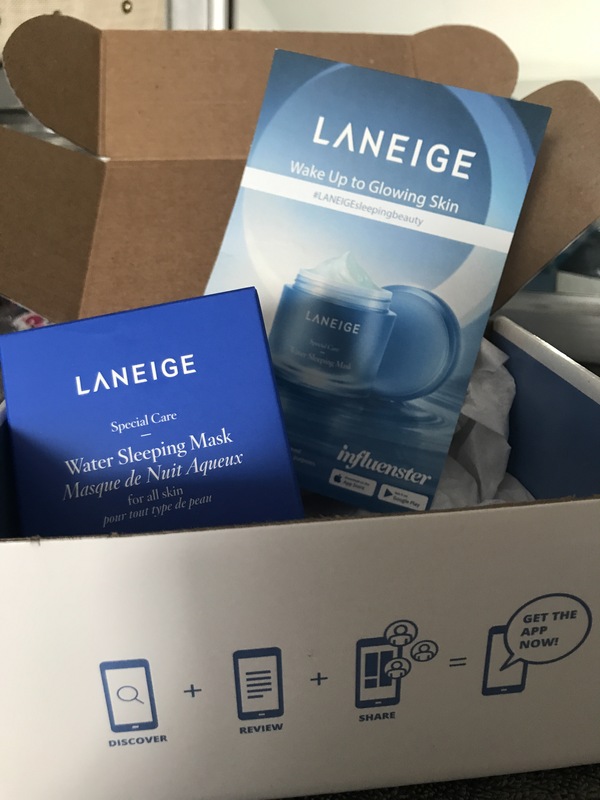 This time I’ll be reviewing the Laneige Water Sleeping Mask for you courtesy of Influenster. I’ve had this product for about two weeks and have been using it religiously since. 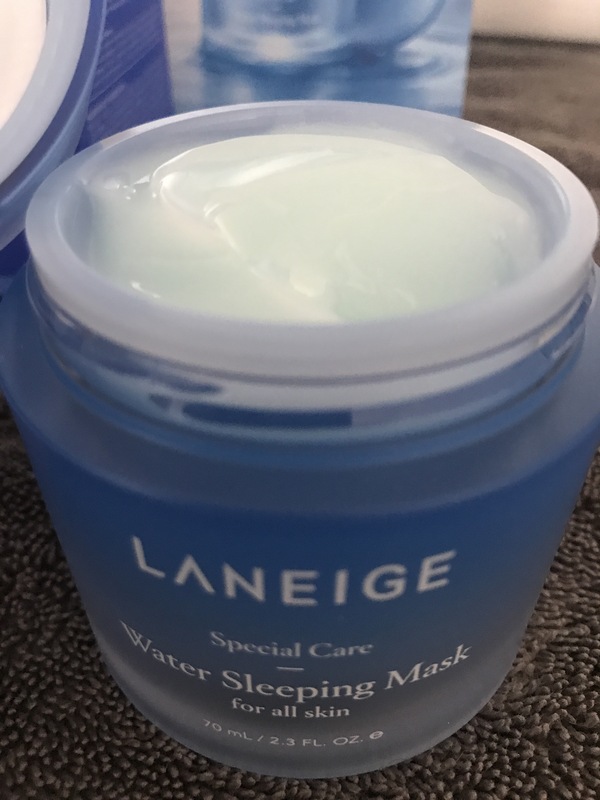 I’ve never tried anything by the brand Laneige and I have also never used an over night mask. This product retails for $25 USD at Sephora and is 2.30 oz/70 mL. I was quite impressed by how reasonable the price of this mask was, especially considering the amount of product you get! This product claims to be suitable for all skin types and provides a solution for dryness, dullness/uneven texture and fine lines/wrinkles. Laneige suggests that it be used after your face cream/moisturizer and applied evenly across the entire face. It is also suggested that the mask be rinsed off in the AM. Personally with the seasons transitioning for summer to fall, I need all the extra moisture I can get. I have acne prone combination skin, most of my oiliness is centered around my T-Zone, and I tend to get dry patches around my chin area. Lets start with the packaging– it looks and feels very luxurious. I love when a product has sturdy packaging. I always tell myself, “Don’t judge a product by its packaging Courtney…”, yet sometimes, I just can’t help it. The mask comes with a small plastic spatula to aid in getting the product out of the jar, I just use my fingers– but this will be great for all you guys & gals with long nails. I like the consistency of this product, but do not be confused, this is not a substitute for a moisturizer. I used this product several times at night without my moisturizer in fear of adding to much product to my skin. My advise is to perform your regular nightly skin care routine and apply this mask after your moisturizer has dried down. The scent is very soft, not overbearing, very clean and crisp. 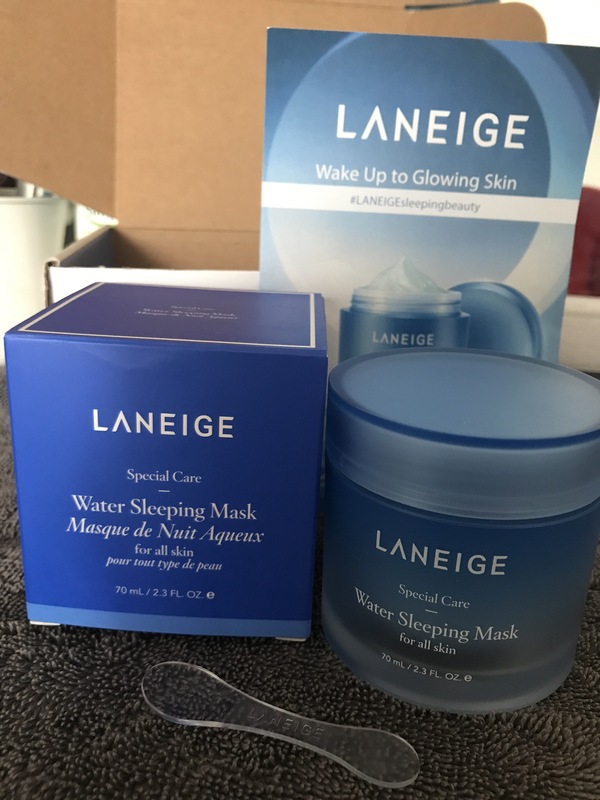 I found my skin looked the most radiant and supple the times that I used both my normal moisturizer and the Laneige mask- which is recommended on the directions. The mask does dry down to a slightly sticky consistency, but this doesn’t bother me due to the fact I am asleep for the time I have the product applied. Overall, this mask is great, I will be repurchasing this due to the more than reasonable price and the added moisture it has given to my skin. DISCLAIMER: This product was sent to me by Influenster, I did not pay for the product reviewed in this blog posts. While I did not pay for this product all opinions on the product are my own. I hope you all are doing well and spreading kindness wherever you go. Sounds lovely (: Influenster is a great app!